According to 2019 Global Phish Report by Avanan (a cloud security platform), out of 99, at least 1 email contains links or malicious attachments which are used for phishing attacks. Malware is still considered less risky than phishing which could be a huge security risk. Organizations which had employees ranging from 20 to 100,000 and used either Office 365 or G Suit as email platform, sent over 55 million emails to Avanan to carry out the analyses. Total 52,379,886 emails through Office 365 were analyzed out of which 546,247 emails were seen as a part of the phishing campaign. Whereas on G Suit, out of 3,120,114 emails, only 0.5% (i.e 15,700) were marked as phishing emails. These emails were first checked through default security and later by Avanan so the company could look for emails with phishing attacks even if these were missed out somehow. "30.3% of phishing emails sent to organizations using Office 365 EOP (Exchange Online Protection) were delivered to the inbox." 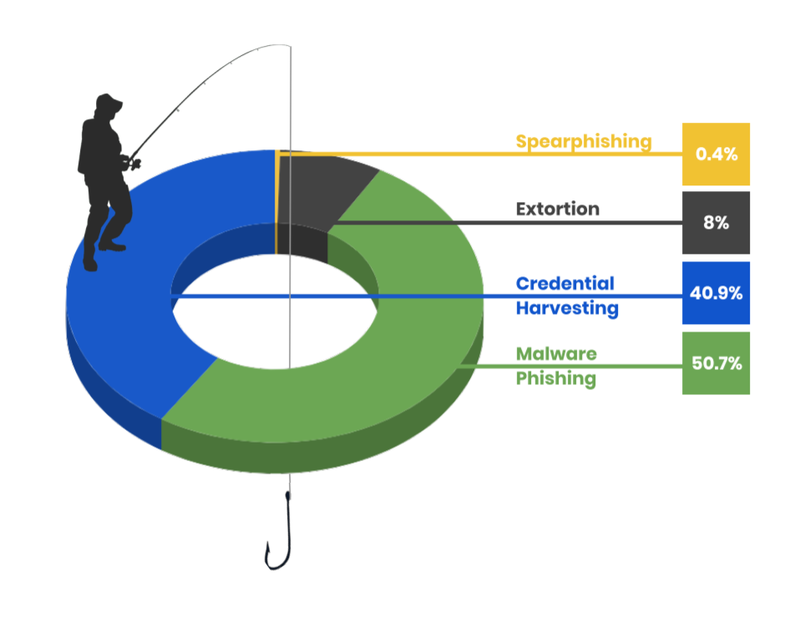 Out of the total 561,947 phishing emails, the report declared over 50 percent as "phishing emails contain malware", while, almost 41 percent as credential harvesting, 8 percent extortion and 0.4 percent were spear phishing. "Phishing attacks are becoming increasingly sophisticated and difficult for humans and machines alike to detect. Employees are bombarded with spear phishing, extortion, credential harvesting, and malware attacks.Yet Office 365 and Gmail cannot reliably block emails containing malicious language, links, or attachments. ", claimed the report. The report also highlights that 98 percent of these emails had a cryptocurrency wallet address, and a WordPress link was attached to 35 percent of the emails. 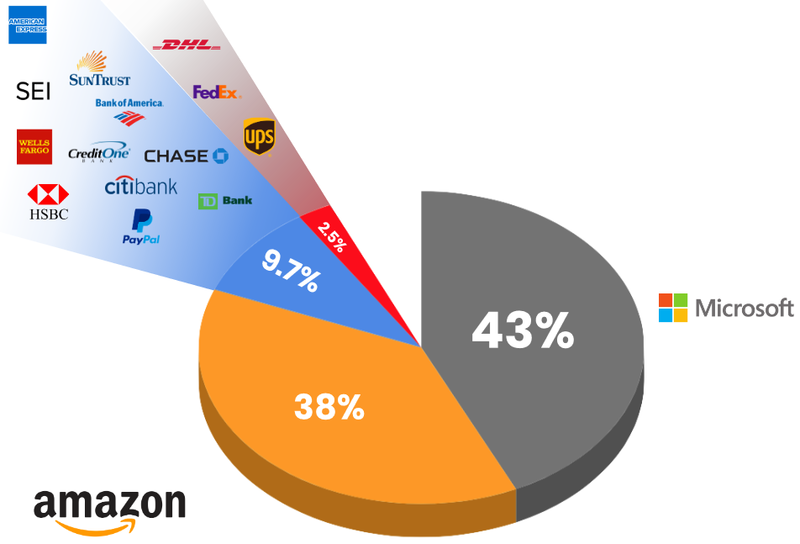 Many of the phishing emails were camouflaged using the brand impersonation practice, as 43% of these used Microsoft and 38% Amazon's branding style to fool recipient to click on a malicious link or surrender personal information on a spoofed landing page. Yoav Nathaniel, a lead security analyst at Avanan said that cloud-based emails have given attackers a new opportunity, and they can hack a wider range of critical data in case the phishing attack is successful. Read Next: Social Media is now being used by 'Support' scammers for conning people and nearly every tech savvy person is at risk!